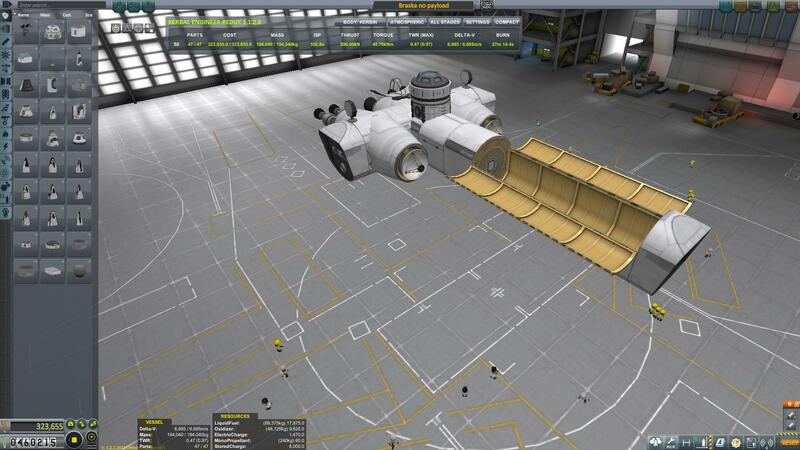 A craft i used to transport cargo to eeloo (or any planet for that matter). 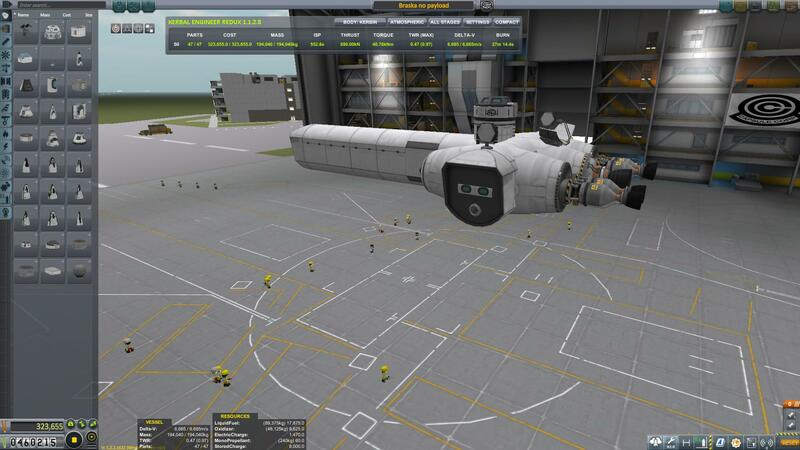 If you can put up with a 40 minute burn (nuclear engines). The main engine is mainly for circularizing or ejection burns. A mod aircraft called Braska. 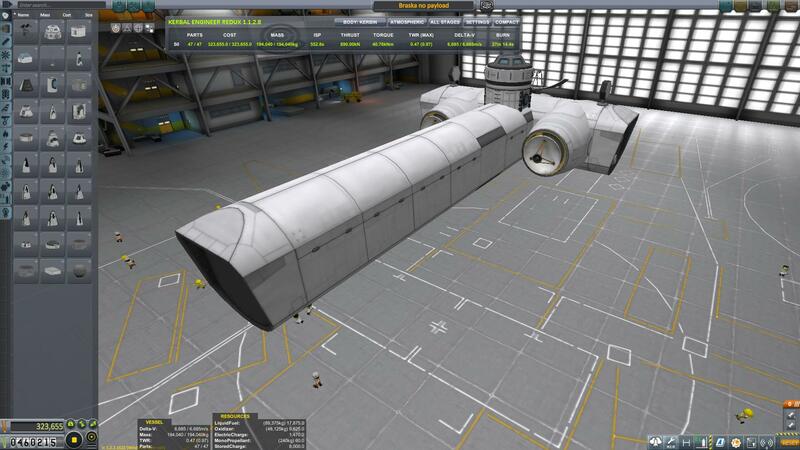 Built with 47 of the finest parts, its root part is mk3FuselageLFO.25.